A significant growth slowdown triggers anxiety that worse is to come. Households and companies hate uncertainty, confidence drops and a negative spiral develops. Although central banks may adopt a more dovish tone, the minds will still be dominated by a feeling that growth is missing. May Day is approaching. It is the occasion to celebrate progress made in improving workers’ rights. It can also be an opportunity to recall how much the quality of social dialogue matters for a well-functioning of the labour market. According to 2018 Global Competition Review of the World Economic Forum, the quality of labour-employer relations is relatively high in continental northwest Europe and Japan. At the same time, these countries score very well in terms of labour market outcomes. The lightly regulated labour markets in the English-speaking countries have also achieved low unemployment levels, although jobs are less well protected. In the southern European countries, the social dialogue seems to function less well. Unemployment in these countries has remained persistently high. The different uncertainty measures are sending mixed signals. The Economic Policy Uncertainty Index, which is based on media coverage about policy uncertainty, is no longer increasing but a downward trend has not yet started. In this first episode, William De Vijlder discusses why low and stable inflation is important and how this led, about 30 years ago, in New Zealand, to introduce a monetary policy based on inflation targeting. He also discusses how this approach has been adopted by an increasing number of central banks. 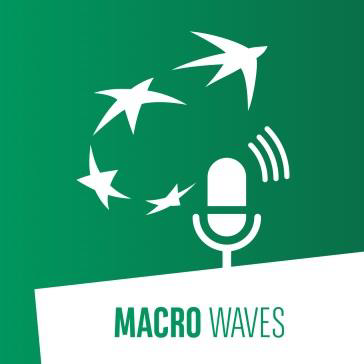 This second episode analyses the role of inflation targeting in the big disinflation of the 90s, the implications for growth, volatility of growth and inflation, real interest rates and inflation expectations. It also discusses the different perspectives on inflation targeting before and after the Global Financial Crisis of 2008. Interview conducted with François Doux. In an environment of extremely low interest rates, central banks' room for manoeuvre to boost growth in the event of a recession is limited. So what monetary policy should be pursued today? William De Vijlder discusses the question of changing the objective of targeting inflation in monetary policies. Interview conducted with François Doux. The Federal Reserve will conduct a review of its monetary policy framework and the conclusions will be made public in the first half of 2020. Three questions will be addressed: should the monetary policy stance take into account past misses of the inflation objective? Are the tools adequate? How can communication be improved? The initiative should be welcomed because it shows the Fed’s efforts for being ready when the next recession hits. Facing similar challenges, the ECB is likely to be interested in the outcome of the Fed research. When households (companies) feel more uncertain, they will spend (invest) less. After a jump last year, the number of media articles mentioning uncertainty, has declined somewhat recently (top left chart). The latest survey data show a very mixed picture. In the manufacturing sector, China saw some signs of stabilisation, whereas Japan experienced a deterioration. In Germany, manufacturing remains under pressure. The picture in the eurozone is quite diverse, depending on the country and the sector. Looking at the broadest survey indicator for the eurozone, one observes a stabilisation. Whether this will be confirmed depends to a large degree on developments in China and on the well-known sources of uncertainty (trade, Brexit).